Night of Champions (2015) was a professional wrestling pay-per-view event produced by WWE. It took place on September 20, 2015 at Toyota Center in Houston, Texas. It was the ninth and final event under the Night of Champions chronology. The font used for the logo of wrestling event is very similar to Amerigo, an original Bitstream typeface desgined by Gerard Unger to provide a typeface of tapered stroke that will work well at lower resolutions. The Amerigo font identified above is not available for free, please follow the link above and purchase the font. Meanwhile, you can take a look at our collection of fonts for cars, pop music and apparel as well as round-ups of new & fresh fonts around the web. 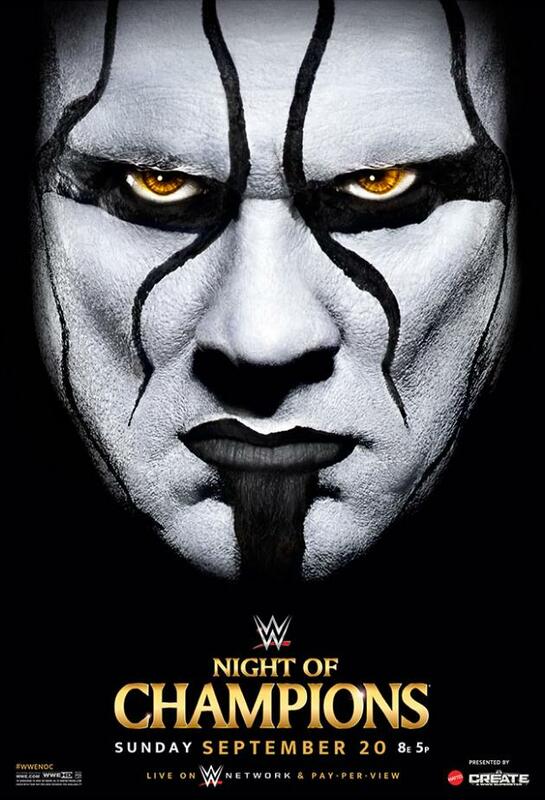 In addition to Night of Champions, It seems we can’t find other examples (logos, movie posters, album covers etc.) of Amerigo typeface in use.